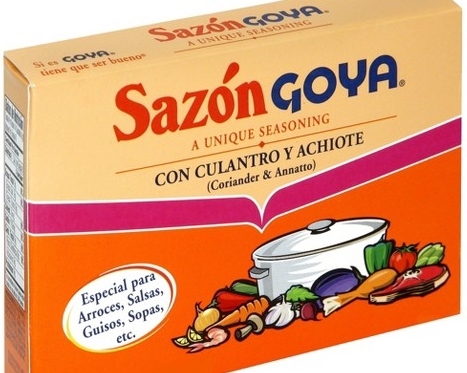 I did save a recipe to make a homemade Sazon Seasoning, but happened to find a box of Goya at Dollar Tree. I used one envelope for this recipe (there are 8 envelopes per box). In 2-3 quart pot, heat olive oil, add onion, bouillon cubes and Sazon Seasoning. Cook over medium heat for about 5 minutes. Add peppers and cook for about 4 minutes. Add tomatoes and cook for another minute. Add rice and stir until well coated with oil. Add water, bring to a boil, stir, reduce to simmer and cover pot. Cook, stirring occasionally for about 20-25 minutes or until liquid is absorbed. Add peas when there is a minute or two of cooking time left. I love yellow rice, yum! What a pretty dish! I am going to try this soon. Such a gorgeous side dish! Perfect side for any Tex-Mex meal....making tacos tonight, so you got my attention! !